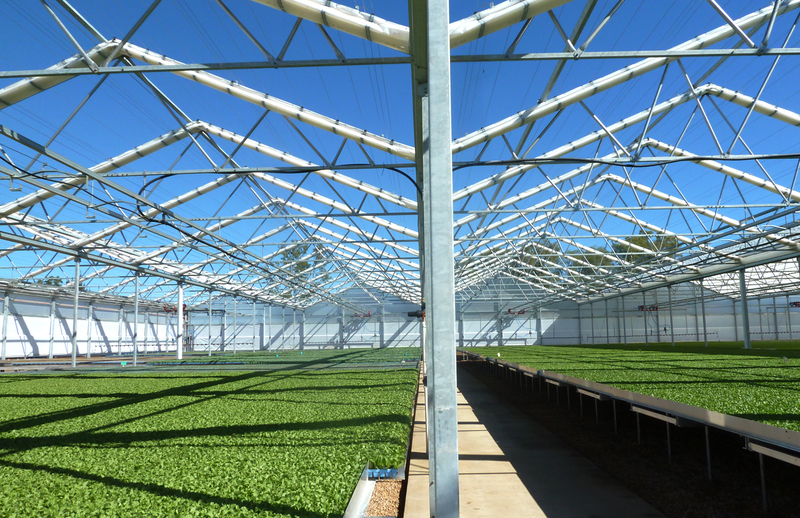 Koala Produce in Gatton, QLD is now producing all of their young plants inside their new retractable roof greenhouse. 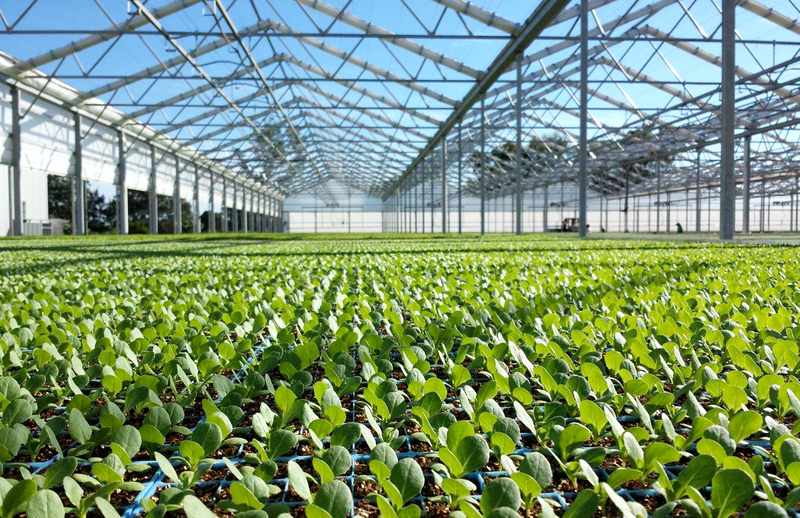 This is the first time that Koala has produced their own seedlings so they had no experience growing in any type of greenhouse. 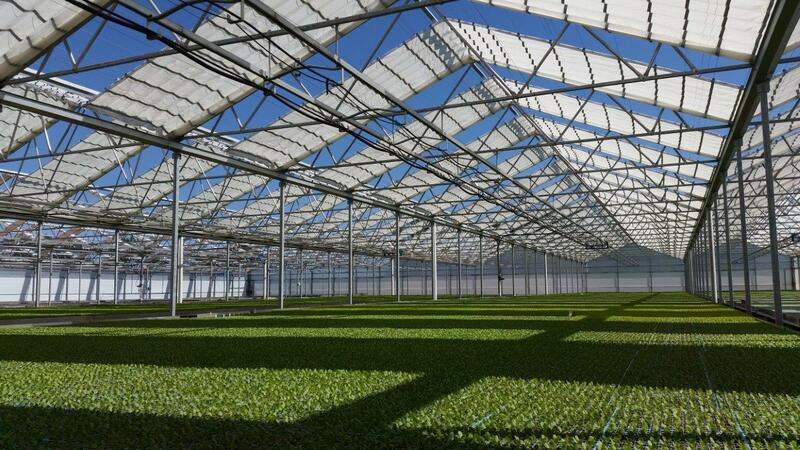 According to Anthony Staatz of Koala, the retractable roof greenhouse design reinforced their vision of growing their plants outside to grow them strong and hardy but with the ability to protect the plants from the extreme rain, hail, wind and heat. 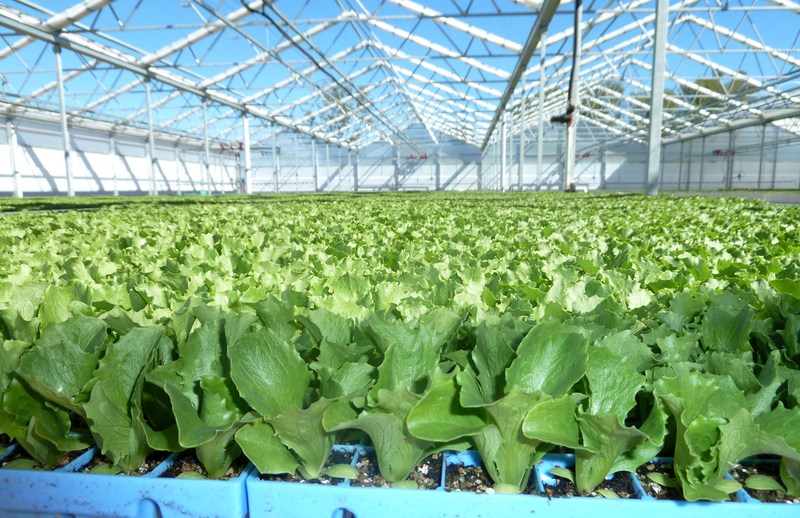 Even though the greenhouse management team had no previous greenhouse experience, "the results have exceeded expectations". 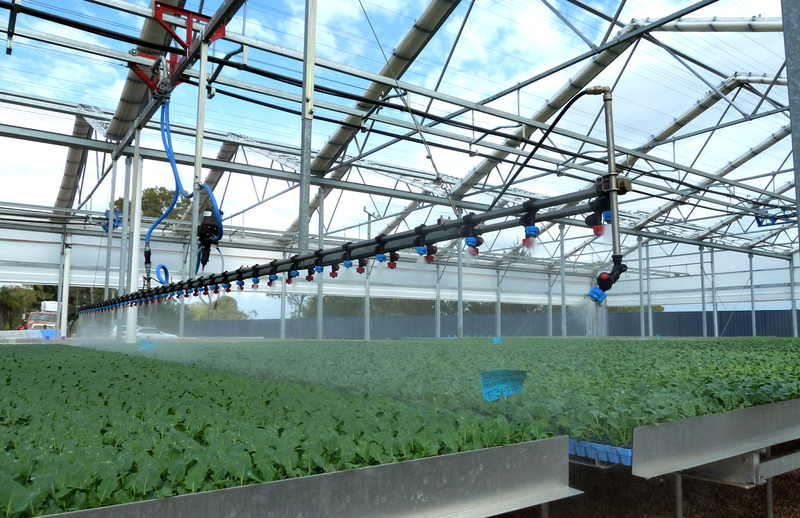 They found that water management was easier than they expected since they installed irrigation booms. If plants were too dry, they could easily water them and if plants were too wet, it was easy to dry out the plants simply by retracting the roof. 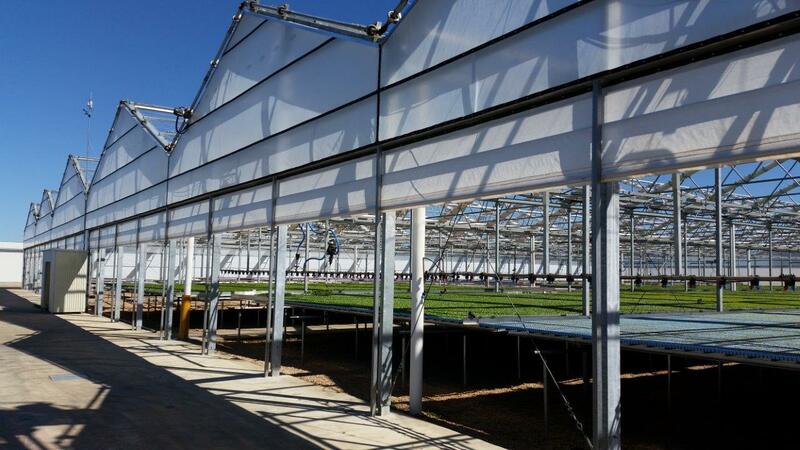 To incorporate the materials handling requirements into the overall greenhouse layout and ensure that all growing areas were the same size, the greenhouse was designed with a series of 10m wide houses with 12.8m wide houses being used where internal roadways are located. Koala constructed the greenhouses themselves with the assistance of a local construction builder who had never built a greenhouse before.